Arrive New Jalpai Guri Railway Station or NJP RLY. STN. 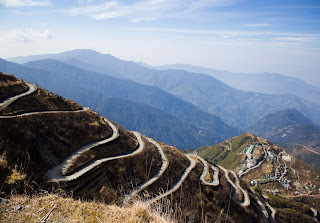 & transfer to Darjeeling(94kms/03 hrs) . Night stay at Darjeeling. Overnight at Bhalukpong hotel. After breakfast proceed for the sight seeing covering Early Morning Excursion to Tiger Hill, Ghoom Monastery & Batasia Loop. Night stay in Darjeeling. After breakfast drive to Gangtok(114kms/05hrs).Rest of the Day free at Leisure.Night stay in Gangtok. Breakfast & Dinner After breakfast proceed for the sight seeing of Gangtok covering Directorate of Handicrafts and Handlooms, Enchey Monastery, Research Institute of Tibetology, Chorten ( Stupa ), Orchid Sanctuary, Rumtek Monastery, Ganesh Tok, Hanuman Tok & Tashi View Point.Night stay in Gangtok. 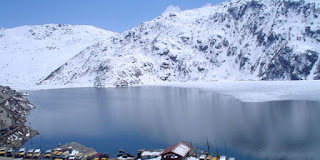 After breakfast proceed for the sight seeing of Thshangu Lake(12400 ft.) & Baba Mander.Night stay in Gangtok. After breakfast transfer to the NJP Rlw Station (115kms/4.5 hrs) to board the onward train. The Silk Route or Silk Road refers to a network of ancient trade routes connecting Asia, Europe and Africa. Extending more than 6,500 kms, the Silk Route was majorly used to transport Chinese Silk to Europe through Central Asia from 2nd Century BC. However, many trade routes (both sea and land routes) existed in much earlier times that connected the main Silk Route and traded in different commodities ranging from salt to gold. Silk Route's greatest contribution to world history was not mere trading of few commodities but exchange of ideas, art and science between Asia, Europe and Africa. It was the world's first information superhighway. Meet & Greet on arrival at NJP station / IXB airport & transfer to Sillery gaon (Pedong) – "The gateway of old Silk route". On arrival check-in to eco- village camp and rest of the day at leisure. Overnight at Sillery gaon. After breakfast start for a trek to Teenchuley view point, Ramitay view point, Damsang Fort ruin, silent valley etc. Night stay at Sillerygaon. This morning after breakfast drive to Zuluk/ Zaluk. Pedong Monastery, Rongli, Lingtam, Kuekhola WaterFalls, Nimachen.. On arrival check-in to your home stay & rest of the day is at leisure. Overnight at Zuluk/Padamchen. Transfer to Lungthung or Nathang. Sight seeing visit Thambi view point (nearby Lungthung) , Ganek, Laxmi Chawk Kubuk or Kupup valley, Haati or Elephant lake ( locally known as Bidhan chu), Yak golf course, Adi Baba mandir (old), Tukla Valley and new Baba dham, Lord Young husband's Track , Zelepla or Jelepla etc. Night stay at Lungthung/Nathang Valley. Early morning experience the sunrise from Thambi view point (nearby Lungthung). After breakfast start for Reshi. Reshi river divides Sikkim and West Bengal. Night stay at Reshikhola on the bank. Enjoy whole day at the river bank with some individual activities such as bird and butterfly watching, trekking etc. Night stay at Reshikhola. After breakfast transfer to Aritar. Enjoy Lampokhri lake. Night stay at Aritar. 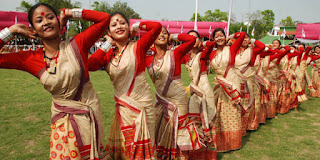 Assam is a state of India in the north-eastern region. Located south of the eastern Himalayas, Assam comprises the Brahmaputra Valley and the Barak river valleys along with the Karbi Anglong and the North Cachar Hills with an area of 30,285 square miles (78,438 km2). Assam is surrounded by six of the other Seven Sister States: Arunachal Pradesh, Nagaland, Manipur, Mizoram, Tripura, and Meghalaya. Geographically Assam and these states are connected to the rest of India via a strip of land in West Bengal called the Siliguri Corridor or "Chicken's Neck". Assam shares international border with Bhutan and Bangladesh; and culture, people and climate with South-East Asia â€" elements in Indiaâ€™s Look East policy. Assam became a part of British India after the British occupied the region following the First Anglo-Burmese War of 1824â€"1826. 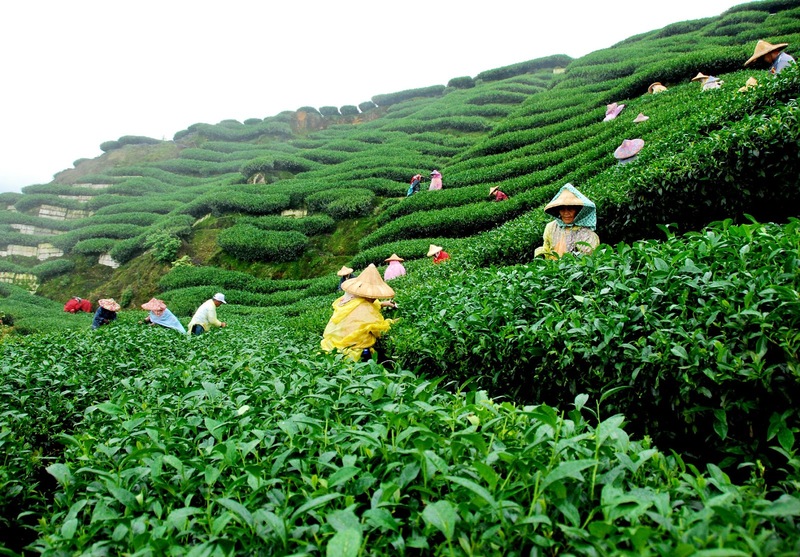 Assam tea is produced here along with petroleum and Assam silk. The state has conserved the one-horned Indian rhinoceros from near extinction, along with the pygmy hog, tiger and various species of birds. It provides one of the last wild habitats for the Asian elephant. The economy is aided by wildlife tourism while the Kaziranga and the Manas National Parks are designated as World Heritage Sites. Sal tree forests are found in the state, which as a result of rainfall looks green all year round. 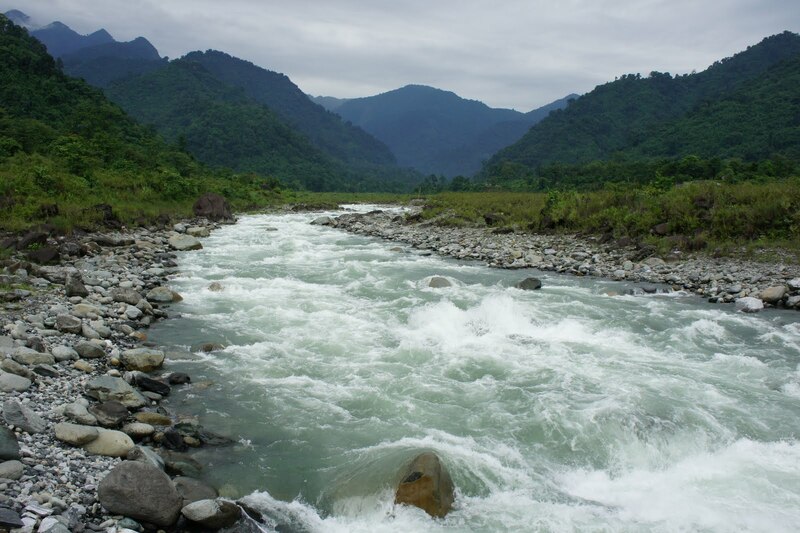 This rain feeds the Brahmaputra River, whose tributaries and oxbow lakes provide the region with a hydro-geomorphic and aesthetic environment. Welcome on arrival at Guwahati Airport / Railway station. Transfer to Shillong. Enroute visit Borapani Lake. Evening free for shopping. O/N in Shillong. After early breakfast proceed to Cherrapunjee. Enjoy a pleasant drive to see water falls & visit the Mawsmai cave & Thangkharang park. Return to Shillong. Enroute visit at Shillong Peak. O/N in Shillong. 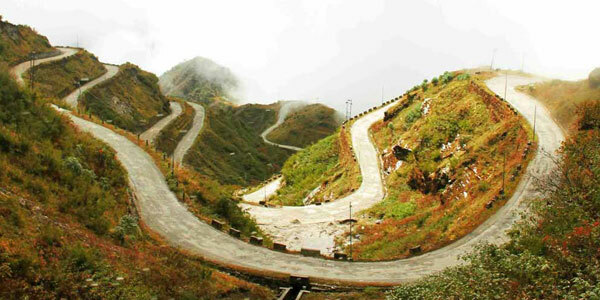 Enjoy local sightseeing of Shillong which includes Churches, Lady Hydari Park, the Orchidarium, Golf Course & Elephant Falls. Later drive to Kaziranga. Overnight in Kaziranga. Morning Safari in Kaziranga National Park. Rest of the day free. Afternoon proceed to Sivasagar & O/N. Discover the antient capital of the Ahom kings. Visit the Shiva Temple, Rang Ghar, Toltol Ghar the marvels of the region. Drive to Tezpur & O/N. Morning s/s in Tezpur. Drive to Itanagar & O/N. Enjoy full day s/s in Itanagar including Buddhist Temple, Ganga Lake & Jawaharlal Nehru Museum. Evening free for shopping. Overnight in Itanagar. Morning drive to Ziro. Villages. Enroute visit tribal villages of Nishi tribe. Overnight in Ziro. Morning full day Ziro Villages. Visit Apatani villages, Tarin fish farm, Emporium, Museum and local market. Drive to old Ziro Village. Overnight in Ziro. Morning drive to Dapirojo. Enroute visit Nishi as well as the Hill Miri Tribal villages like Rage, Tamin and Mori. Overnight in Daporij. Morning visit Shiva Cave and hike to Nayam Village. Visit the spentacular hanging rope bridge. Visit the Tagin Tribal Villages. Overnight in Daporijo. Morning drive to Along. Visit and witness the culture of the Adi tribe in various Adi villages. Afternoon visit museum & emporium. Overnight in Along. Morning proceed to Passighat. Visit Museum and Cultural Central. Evening free. Overnight in Passighat. Morning drive to Guwahati. Overnight in Guwahati. Morning take a temple tour to Maa Kamakhya Temple, Nabagraha Temple, Sukleshwar Temple. Visit Srimanta Shankardev Kalakshetra, Guwahati Zoo, State Museum & Emporiums for local ethnic products. You may visit Balaji Temple or take a river cruise in the evening (cruise at additional charges). Overnight in Guwahati. In the transfer to Airport / Railway Station for onward journey. Guwahati Arrival at Guwahati Airport and transfer to hotel. Evening at leisure. Can go for Brahmaputra river cruise(Optional). Overnight at hotel. 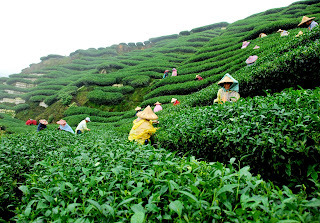 Guwahati Today go for local sightseeing in Guwahati. Morning visit to Kamakshya temple. Overnight at Guwahati. 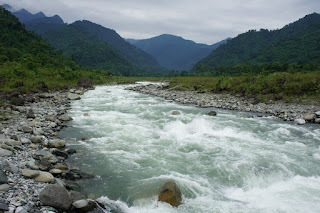 Bhalukpong Drive to Bhalukpong, the gateway of West Arunachal Pradesh through Assam plains, at the foothills of eastern Himalaya on the bank of great Kameng River and surrounded by lash green low hills. On arrival check into Hotel. Overnight stay at Bhalukpong. Bhalukpong-Dirang Drive to Dirang. On the way visit Tippi Orchid Research Centre ( subject to weekly opening dates). The roads wind up after Bhalukpong with the change of vegetation and landscape. On arrival check into hotel. Overnight stay at Dirang. Dirang-Tawang Drive to Tawang crossing Sela Pass ( 13721 ft.). Stop to view the Paradise Lake. From the Sela pass road winds down to Jong Village. On the way to Jong visit Yashwant Garh War Memorial. After lunch at Jong Village starts for Tawang. On the way visit Nuranang Fall. Overnight at Tawang. Tawang Sight seeing in and around Tawang city.Visit the famous Tawang Monastery, which is 400 years old, accommodates over 500 monks and houses priceless Buddhist texts and scriptures. The Tibetan influence here is unmistakable, with the elaborately painted wooden windows and other motifs. An 8 mt high gilded statue of the Buddha is seated here, as are numerous ancient Thankas or Traditional paintings and manuscripts. Also visit Craft Centre, Tawang War Memorial. Evening free time. Overnight at Tawang. Tawang Breakfast in hotel. 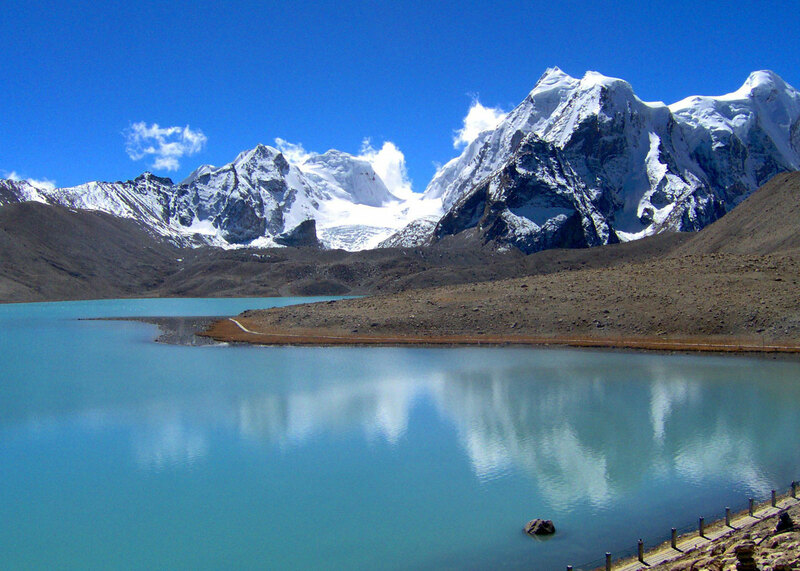 Full day excursion to visit the PT Tso Lake, Senget Tso Lake. Drive back to Tawang. Overnight at Tawang.Go for visit to PT Tso, SengatTso, T Gompha and Bumla Pass beyond Tawang. Overnight at hotel. This tours are subject to special permit to be obtained from Tawang. Tawang-Bomdila Start your day early and resume your return journey to Bomdila. On arrival check in to hotel. Overnight stay at Bomdila. Bomdila- Kaziranga Transfer to Kaziranga, Overnight at hotel. Kaziranga- Guwahati Morning for Post breakfast go for Elephant ride Safari in Kaziranga.Back to Guwahati. Overnight at hotel. Guwahati Later transfer to Airport/GHY. RLY. STN. Service ends.